The SAITM dispute has become a Pandora’s Box. When one disputant agrees to a certain position, another party contests it. One day it appears as if the matter is getting solved at last, only to hear the next day that the controversy has returned to square one. This problem is best solved by going into first principles and firmly deciding who had the last say on the points in dispute. The main point involved is the right to free education. It was granted by the Legislature. The GMOA and other Tus may like FE and most of their members may be obliged to it but they do not have the last word on it. Of course, they can influence the Legislature to safeguard the vistas of free education. But it would amount to revolt and rebellion to try to twist the arm of the Legislature by taking the country and its invalids as hostages. Besides, originally FE was granted from kindergarten up to the University. Its extension into the University was an after-thought as students graduated to that level. a) Ignore the excess as it has been doing up to now. c) Until ‘b’ is fulfilled, the State should provide ways outside the Government Faculties for those who have attained the required credits but are outnumbered by the slots available within the State facilities. This can be done by placing such students in private Medical Colleges at Government expense or by arranging Bank loans for them. Solution ‘b’ presupposes standards being set down for medical education. This is a matter for the Medical Council that has being hanging fire for some time, paving the way for the present deadlock. Laying down the standards enables a count to be taken of those who have satisfied the given criteria at the University Entrance Examination. It is these students who have to be provided for in the name of FE. The Government has so far failed to create facilities for them within the establishment. If it has not got the wherewithal to establish new facilities for them, they can be accommodated in a private medical college that satisfies the standards laid down by the MC. Therein lies the case for private medical colleges in Sri Lanka. FE does not exclude fee-levying teaching institutions. Even at the advent of FE, there were such institutions. As at now there are institutions coaching paying students up to degrees in other sectors like engineering and accounts. One wonders why only medical schools have to be free. Besides, a ban on private medical colleges would not solve the problem. Under such a restriction, affluent students are bound to join foreign medical colleges causing loss of foreign exchange and possibly, a brain-drain to the country. Establishing standardized fee-levying MCs here would solve this problem and possibly earn foreign exchange for the country. Of course there should be a control of the number of private MCs established here and their quality. No one who has failed to obtain the minimum credits prescribed by the MC should be allowed to get into them. If not, some day we would be saddled with medical colleges producing conductors. No Union has the right to dictate terms to the MC but they have a right to present their case to it. Nationalizing the SAITM hospital is neither here nor there. One wonders how fair it is to take over the institution in a country where there are hundreds of other privately owned institutions. That it would help the owners is beside the point. It would have been more appropriate for the Government to undertake a management contract there to give clinical training to the students who are stuck without such experience. The ongoing lecture boycott by the medical students appears to be an impulsive self-defeating move. Of course, the parents have a democratic right to get on a stage and demand what they consider to be their right. But by getting their children also on the same stage, they tend to while away a part of the prime of the youth of their issue. They should really encourage their children to complete their studies as fast as possible. Any time wasted on stages cutting lectures is a permanent loss to their career. They have already lost nearly a year of their prime cutting lectures and agitating in demonstrations. In the meantime their counterparts at SAITM are stealing a march over them. The Legislature has failed so far to intervene and rule on their prime duty of defining on the proper limits of free education. One would expect at least the executive to direct the Government Medical Faculties to resume studies, prescribing firm penalties for boycotting lectures, such as loss of scholarship and end of studentship. It is unfortunate that they also have confined their contributions to demagogy and vain threats. It looks as if the Government does not want to put its ‘elephantine foot down’ ‘with a firm hand’. In the circumstance, the only hope of solving the ‘SAITM Deadlock’ appears to lie with the Judiciary by ruling on the recent Judgement of the Court of Appeal. Even there the executive has failed to move the Supreme Court for an early ruling. It is hoped that in view of the national importance of the matter in hand, the SC would decide to go into the matter with a full Bench and put an end to this vexed matter that has put our educational system out of gear for quite some time. The parrots in YP Government, who issued certificates/clearances ignoring the statutes and regulations, should be exposed and sent on compulsory leave. One guy is said to have got Millions for paying the sums demanded by the daughter-in-law to agree on the divorce requested by the son. Another is said to have got Millions for not releasing the Ministry’s documents to AG. Another is said to have got millions for issuing a letter granting access for SAITM Students to receive Clinical Training at state hospitals and he is said to have used that money to send the daughter to a country in American Continent to study medicine. The new parrot, who is laying the carpets for high flying educated, is said to have got millions to safeguard the interests of SAITM in the current debate. According to the “Professional”, it is the YP Government, who has issued certificates/clearances ignoring the statutes and regulations. Is this true? Wasn’t it the previous regime that established SAITM? The framework the previous regime utilised should never have been used and should not be used in future as a model for establishing private educational institutes. In principle, I am for public education and public healthcare. This is because I consider it the prime responsibility and duty of a country’s government to invest in its future generations. This is done in countries like Finland and Cuba, where the standard of education is considered the best in the world. Such a future cannot be and should not be negotiated with profit generating capacity for certain stakeholders, by adopting structural reforms to privatise education, simply for the purpose of generating competition between higher educational institutes. You may see what has happenned in Australia with the quality of education increasingly coming down, compared to what it was before the provision of education was privatised. In this regard, what has happenned to TAFES is a prime example. 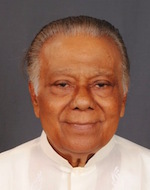 However, under the current circumstances in Sri Lanka, where there is a dearth of medical practitioners; where most of the students with suitable scores do not get admitted to the state sponsored medical learning institutions; where private sector educational institutes are allowed to flourish in all other educational sectors, such as accountancy, ICT, engineering and law; I do not oppose private education per se. From primary school to university admission, children have lost their childhood because certain state schools do not provide a professional education to their students. They have to seek private education. Parents do not seem to like their children to become ‘tradies’ to be involved in trades. They want all their children only to become doctors, engineers and lawyers. So this massive competition in education. Of course, children need guidance of their parents and other elders. Occupation wise, no one including parents should force a child to become what some one else wants him or her to be disregarding the natural likings and skills that child displays. On the other hand, admissions to private learning institutes including medical ones, need to be merit based, with the syllabus and exams approved and managed by the same professional bodies that run the state institutions. Can there be any sober discussions with these bands of medical mafia doctors? Chandra: Your question has been answered by handing over this SAITM problem to another “MAFIA” comprised of Ministers: Rajitha, SB, Kiriella, Patali,Dayasiri , very recently added MP Prof. Marasinghe. Then behind the scene is SAITM owner Dr. Nevil. Is he the “MAFIA BOSS” or “GOD FATHER”? So there is a “TURF WAR”. In this “WAR” like in any other war the “WINNER” is only the “DEAD” – the PEOPLE. Everyone has to agree to a simple principle. Students who excel at ALs can pursue Uni education paid for by the tax payer. Any student who misses out on state Uni admission should have the right to obtain a medical or any other degree by paying for it. No one should force a student to study a particular stream and it is a a basic right of education. GMOA would always protect its space and hence would obstruct if the number of doctors are going to increase since higher numbers would impact their popularity and income levels. What is required is minimum standards for medical education and ensure that all state and fee levying medical schools comply. Also ideally the final exam should be the same as done in law exams where all students who have enrolled through fee levying channels sit the exams set by Law College. Look at how well NSBM is functioning. It is a fee levying Uni fully owned by the state. No strikes and excellent learning environment. Before pre-judging the quality of doctors educated at private institutions, the government should do a systematic study to ascertain how many doctors (and in what specialties, and where) are needed in Sri Lanka. The numbers of incoming students should be based on those criteria. incentives should be given to those who want to practice in under-served areas. Those who elect or are forced to get a degree from a foreign or private institute should be made to sit a qualifying exam to get a license to practice in Sri Lanka. This will eliminate the claim of sub-standard quality in non-state universities (assuming that the state universities ARE providing a quality education). Any medical student getting a free education in Sri Lanka should be under contract to work at least for 5 years in Sri Lanka- ideally in under-served areas. These are all common-sense ideas. But is the GMOA or the government swayed by logic and practicality? The SAITM was opened as opening a hopper shop. Most of the ministers and others who fight for the SAITM would definitely have received money from SAITM. It is my estimate that SAITM has collected more than 20 billions rupees from the students who have enrolled with them. I think the money collected by SAITM are corrupt money earned by corrupt politicians and businessmen during previous regime. I think the SAITM owners are more afraid not for nationalizing the institute,but for the outcome when a competent authority investigate various corrupt practices the SAITM officials have carried out during the past, including enrolling students without qulification, how they have spent money collected etc. It is my opinion that if the country opens universities or degree awarding institution, first step is the government should appoint a high level committee comprising high level educated professionals,including even foreigners, and formulate national policies relating to such universities/institutions. Second step should be ,in case the committee approves opening such institutions, the institutions must be opened targeting clear improvement in educations system in Sri Lanka. For example, if the govt. can invite world famous top class universities to open such degree awarding institutions in Sri Lanka on non profit making basis making an environment to create a competition between the govt. universities and the private university ,definitely the outcome would be much beneficial for the country. For example, till about 1996 ,the Sri Lannka Ports Authority was a govt. sole owned institution, and in 1996 part of the port was privatized ,and it enhanced the productivity of the port. So, my final opinion is first nationalize the SAITM ,and then invite world top 50 universities to bid to take over the SAITM to run on non profit making basis. Unlike for other trades where union action merely inconveniences the people or causes some pecuniary loss, when medical “trade” unions strike, thousands of people suffer pain, become debilitated due to lack of treatment and seriously ill patients will often die with no appropriate attention. Health is a right of every citizen, although the Sri Lankan constitution does not state it, and no trade union, however frustrated or jealous should be allowed to compromise the health of the people. Therefore, the law should be amended to make it illegal for trade union responses to involve strike action that endangers human life. If these are incorporated into law, and robustly enforced, SAITM will not be used a scapegoat any longer, to hold the country to ransom. Health is wealth of a nation!!. Water is a human right and Slovenian Trumps wife was the first to have it incorporated at her land of birth. 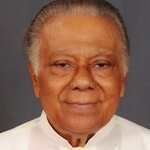 Lanka never fought for independance but gladly plucked it off the patchwork tree of the pirates that rule the world. So it’s just a case of prodigal son that is craving for a police state but is unable to find a Lee Kwan Yew and Choo because it never spawned them….culture! patriotism is the food you eat when you are a child. We inherited the British Education system. O/L’s, A/L’s, requirements University entry, study syllabuses are all copied from the British Ed. system. Everything went very well for everybody’s satisfaction until this privatisation. It is now chaos! Do we have private medical education viz, private Medical Colleges in Britain. No not to my knowledge! We have Westminster style parliament in Sri Lanka. Every effort is being made even for today to tow the line with the British parliamentary system. Our hon, PM sees no way of moving out of this system. So then why then he should think of non British ways only for Education system? private Medical Colleges in Britain. ?? Reeker the seeker finds if he only cares. The UK’s first private medical school has opened, with students paying annual tuition fees of £36,000. The first intake of 67 students is beginning this term at the University of Buckingham. Although the medical school was expected to particularly appeal to overseas students, most of the students are from the UK. John Clapham, the school’s chief operating officer, said he was “staggered” by the demand. Medicine courses are often the most over-subscribed, with universities turning away thousands of applicants. BTW the indians fought for independance so they understood the american dream and their education from 47 was in line to the continent and america. SAITM is elitist. It is Medicine now but can proliferate to law for example. Educated in English via fee charging International Schools and PCs from this group? if the man who prints money distributed it evenly you won’t come to work. You follow british and the drits have it all. Obama appointed freshly passed Desai the corner shop girl over and above career diplomats but you respect What your own broth only what a wanker?